At their meeting on Tuesday the Fairfax County Board of Supervisors approved approximately $40 million in funding for bike projects over six years as part of a major 6-year transportation funding package. The bike funding is approximately $7 million/year. This is a significant increase in funding from previous years although only a small portion (3%) of the nearly $1.3 billion in total transportation funding. There was also significant funding for bike projects that will be included in many of the road projects that were part of the package. Most of the Bicycle/Pedestrian projects are sidewalks that could be used by some cyclists. The major bike-related projects included on the list, many of which are multi-use trails, are: Old Keene Mill Road Bike Shoulders ($9 million), Route 236 Corridor Improvements (bike lanes, wide curb lanes, bike shoulders, $7.5 million), Scotts Run Stream Valley Trail ($3 million), Cinderbed Road Bikeway ($4 million), Mount Vernon Memorial Highway (Potomac Heritage National Scenic Trail) ($6.5 million), Mason Neck Trail ($5 million), and improvements to Holmes Run Stream Valley Trail ($1.5 million). There is also around $50 million for: ped/bike improvements to the Reston and Herndon Silver Line stations ($43 million); and Additional Countywide ped/bike projects ($7 million). Several projects that were on the original list were not funded, including several of the big ticket items such as the two bridges across the Beltway/I-495 ($18 million), proposed bike lanes on Old Dominon Dr ($10 million), and proposed bike facilities on Great Falls Street (bike lanes/shoulders/sharrows/climbing lanes, $10 million). Overall there are almost no on-road bike facilities such as bike lanes, cycle tracks, bike shoulders, or wide curb lanes. Some would question whether the projects that received the majority of the funding were the highest priority bike projects in the county. We have a large county with significant needs for bike facilities, and this funding, while significant, is really only a drop in the bucket compared to our needs. $10 million for Reserve for Capital Projects. Countywide pedestrian and bicycle requests. Currently under review. Partial funding for study only. Add bike/ped crossing and connection to Mount Vernon trail. Examine signalization including HAWK. Re-striping from Liberty Bell Ct to Rolling Road VRE P&R lot. Existing lanes and on-street parking can remain, but widths may be adjusted. Includes bicycle signage and access improvements near Liberty Bell Ct to improve safety and sight distance. Provide approximately three miles of bikeway, extending from Fairfax County Parkway near Telegraph Road to the south side of the Franconia-Springfield Metrorail station. The southern segment could include an on-road facility on Cinderbed Road. Install bicycle way finding signs along the Fairfax County Parkway and Franconia-Springfield Parkway. Install covered bicycle parking to accommodate at least thirty bicycles. Improvements to the access driveway pavement and lighting and security may also be provided. Extend shared use path from Spring Village Dr. to Ridgeway Dr. across Metrorail station. Road diet on roadways to make the area more bicycle friendly. Government Center Pkwy from Random Hills Rd to Fairfax City. Post Forest Dr (West Ox Rd to Gov't Center Pkwy), Legato Rd (Post Forest Dr to US 29), and Ridge Top Rd (Random Hills Rd to US 29). These projects include construction of intersection pedestrian improvements, new sidewalks, new trails and new on-road bicycle facilities within a one-mine radius of the Herndon and Innovation Center Metrorail Station. Upgrade pavement to better serve commuter bicyclists. This project will complement the new on-road bike lanes by installing covered bicycle parking on the north end of Hunter Village Drive in the vicinity of Old Keene Mill Road. Enhance bicycle and pedestrian access from the medical education campus located off Metropolitan Center Drive in Springfield to the Franconia-Springfield Metrorail Station and nearby activity centers. Construct missing links of walkway on Gunston Road from Richmond Highway (Route 1) to Potomac River. Project will complete missing segments of the Trail from southeast of Route 1 (Richmond Hwy) in the vicinity of the Washington's Mill Historic State Park to Grist Mill Park (southeast of Old Mill Rd). Includes bridge over Dogue Creek. This project includes the installation of bicycle shoulders on Old Keene Mill Road from Lee Chapel Road to Spring Road, providing connectivity for the south-central area of the County. Supplemental signage will be installed. These projects include construction of intersection pedestrian improvements, new sidewalks, new trails and new on-road bicycle facilities within a one-mine radius of the Reston Town Center Metrorail Station. Partially funded to construct trail on the west side of I-495 from Georgetown Pike to the Scotts Run Stream Valley. Provide on-road bike lanes on Shipplett Boulevard from Burke Lake Road to Old Keene Mill Road by reducing roadway lane width. No roadway widening is anticipated. Existing trail extenuating from Oakwood Rd (ramp underpass) to the Alexandria City Line will be improved to current geometric standards, including those segments under the Capital Beltway (I-95) and the railroad. Lighting and way finding signage included. Enhance bike access to the Vienna Metrorail and Metro West Town Center; Vaden Dr Bridge, Five Oaks Rd from Vaden Dr to Blake Ln, and Virginia Centre Blvd through lane and road dieting. Includes bike wayfinding signage and shared lane markings. Extend existing on-road bike lanes from Kirby Rd to Arlington County Line. Done as part of VDOT's repaving program. Westmoreland St is a priority route providing bicycle connectivity between McLean, Arlington, Metrorail stations, and the W&OD Trail. YEAS — Alexander, Barker, Carrico, Colgan, Cosgrove, Deeds, Ebbin, Edwards, Favola, Garrett, Howell, Locke, Lucas, Marsden, Marsh, McEachin, McWaters, Miller, Newman, Norment, Petersen, Puckett, Puller, Saslaw, Smith, Vogel, Watkins, Wexton — 28. NAYS — Black, Hanger, Lewis, Martin, McDougle, Obenshain, Reeves, Ruff, Stanley, Stosch, Stuart, Wagner — 12. Fairfax County Department of Transportation is hosting a Public Open House to examine the feasibility of bringing bikeshare to Reston on Wednesday January 29th from 7:00 pm to 8:30 pm, at Lake Anne Elementary School, 11510 North Shore Drive, Reston, Virginia. The Open House will be held in the cafeteria and will include short informational presentations as well as opportunities for the public to provide input to the project. 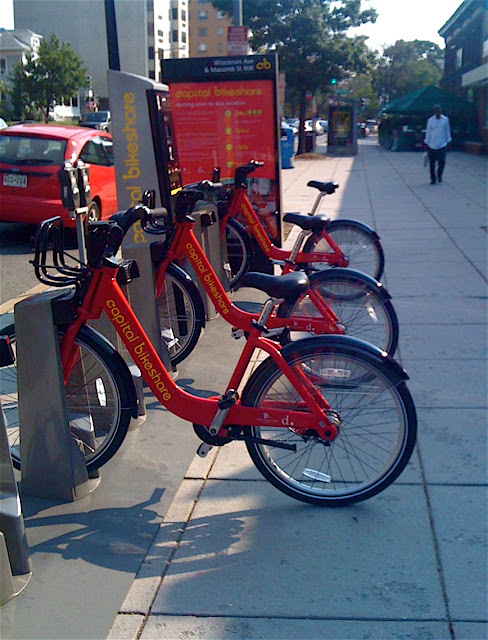 Background: Fairfax County was recently awarded a TLC (Transportation/Land Use Connections) Grant through the Metropolitan Washington Council of Governments to conduct a feasibility study of bringing bikesharing to Reston. With the Silver Line Metrorail station opening, including expanded and upgraded bus service, as well as future redevelopment; the local transportation network is poised for transformation. This feasibility study will look at how best to integrate bikeshare with transit and the network as well as important trip origins and destinations. The study will also examine how bike sharing can address first and last mile trips and become a cost-effective service for Reston. The study is being conducted with the assistance of the consulting firm Alta Planning + Design. Purpose of Public Open House: As part of this study, the public is invited to give input to understand interests and concerns and encourage information sharing about the proposed system. The Open House will include information about how the system could work as well as how to decide where best to add new stations. It will also consider user and community issues as well as how to include underserved neighborhoods. Should you have any questions or require additional information, please contact Charlie Strunk, Bicycle Program Coordinator, Fairfax County Department of Transportation at: charlie.strunk@fairfaxcounty.gov or (703) 877-5600. Update: See the WTOP article on the bikeshare public meeting. Update 2: See the Fairfax Times article on the meeting: Reston explores pilot bikeshare program. On January 15 the Regional Transportation Priorities Plan was approved by the Transportation Planning Board (TPB). The TPB, part of Metropolitan Washington Council of Governments, conducts transportation planning for the DC Metro area as a requirement for jurisdictions to receive Federal transportation funding. A major recommendation of the plan is to Expand Bicycle Infrastructure. A mix of supply-and demand-side strategies. Expanding roadway and transit capacity goes a long way in alleviating congestion on the existing transportation system, but doing so can often be more expensive and less cost-effective than efforts to manage demand. A multimodal approach. Offering a wider variety of travel modes, and focusing attention on modes that can move more people at lower cost, is key to moving more people more efficiently. Making such options available to more people also takes pressure off currently crowded systems, especially the roadway network and the core of the transit system, and alleviates demand for expensive new infrastructure. Providing travelers with more options also results in an increase in quality of life, as they are more likely to be able to choose a mode that best suits their individual needs. Not all projects with a given mode deserve equal attention, however; some investments or projects support more regional goals and offer greater benefit relative to their costs than others. A focus on concentrating future growth in mixed-use Activity Centers. Land-use is a critical component in more effectively managing demand on our region’s transportation system. Concentrating growth in mixed-use Activity Centers can help make more effective use of existing facilities, and can improve socioeconomic imbalance in the region by supporting job growth and commercial activity in areas that currently lack it. These land-use principles are central tenets of Region Forward and the TPB Vision. These recommendations "represent a shift in focus away from large-scale supply-side investments of the past to smarter, more strategic approaches to alleviating congestion and crowding, and to accommodating future growth." What we should do: Make bicycling a viable transportation choice for more people in more places by making it safer, easier, and more convenient. Bicycling is booming in the Washington region—not just as way to get healthy and have fun, but as a practical mode of transportation. Because of this rising demand, we need to expand bicycling infrastructure to make it safer and easier for more people. Between 2000 and 2011, the District of Columbia saw the share of its residents who bicycle to work double, from 1.4 percent of residents to 3.5 percent. Regionally, the share is still below 1 percent, but growing. Some higher- density, mixed-use communities outside the regional core have higher shares of people commuting to work by bike, like the area near the East and West Falls Church Metrorail stations, which saw 3.6 percent of commuters traveling by bike. Interest in and support for bicycling is also growing across the region. Suburban jurisdictions are increasingly seeing that bicycling can provide a viable transportation option in locations where it was previously considered unrealistic. Fairfax and Montgomery counties, for example, are both pursuing the expansion of Capital Bikeshare into communities there. Bike to Work Day 2013 had a record 14,500 total participants, with individuals from every jurisdiction in the region pledging to commute to work by bike as part of the event. The more bicycle infrastructure that is available, the more people are likely to ride. For example, since the year 2000, the District Department of Transportation (DDOT) has designated 56 miles of marked bike lanes, installed 2,300 bicycle parking racks, and launched Capital Bikeshare. Most of the increases in bicycle use observed over the last decade have occurred in the neighborhoods near downtown Washington, which has the highest concentration of new bike lanes, cycle tracks, and Capital Bikeshare stations. Capital Bikeshare has been particularly effective in increasing bicycling trips: in 2013, Capital Bikeshare provided an average of [X] trips per month. Bicycling infrastructure is also relatively inexpensive to install. Bike lanes cost about $15,000 per mile and costs can be much lower if the striping is done as part of planned resurfacings or larger streetscape projects. Protected cycle tracks are more expensive to install, at approximately $200,000 per mile, but they also facilitate more bicycling than can normal lanes. Bicycling infrastructure is a key element in community design. The TPB’s Complete Streets Policy, adopted in 2012, called upon the region’s local and state governments to adopt policies to promote street design policies and standards to make alternative modes of transportation—including bicycling and walking—safer and more comfortable. Today, nearly all the region’s jurisdictions have adopted Complete Streets approaches and are finding ways to make a range of transportation options available to more residents. Jurisdictions in all corners of the region are seeking their own ways to promote mixed-use activity centers and bicycle infrastructure to expand the number of destinations that can be reached without a car. As we seek to improve air quality, reduce greenhouse gas emissions, and improve public health, bicycling provides the freedom to get where you need to go quickly and efficiently. Even for people who do not often bike, it represents an expansion of our options for travel. And transportation choice is a key element in our region’s vision for the future. After the heavy snow this week I contacted Karl Mohle, W&OD Trail manager, to ask about plowing of the trail. NVRPA, who own and manage the trail, purchased a snow blower, not a plow, a couple of years ago and have not used it much due to the lack of snow cover. Given the cold temperatures and amount of snow, it will be a while before this snow will melt. Karl said his crew plans to begin blowing snow today, depending on weather, trail conditions, staff availability, etc. They will likely leave from their Smith Switch office and head east. If so, this will be the first time that I'm aware of that large segments of the trail will be cleared of snow. If you see the blower out there, let us know how it's going. VBF has posted extensive information on bike bills currently being worked in the Virginia legislature. The info will be updated regularly. Please check out the page and contact your Delegate and/or Senator, depending on the status of the proposed legislation, to ask them to support these bills. Help us get this legislation passed. Please email or call your delegate and senator, and ask them to support these bills. If you don’t know who they are, use the Who’s My Legislator page. A quick note stating your name, address, that you are a constituent and to please support the following bills is all that’s required. Just mention the bill number and what it’s about. SB 97, three foot passing: in 22 states and the District of Columbia, motorists are required to leave three feet of clearance while passing people on bikes. In Pennsylvania, it’s four feet. Virginia, only two. (Yikes!) This bill changes one word in current law, from “two” to “three”. Passed by the Senate, will cross over to the House. SB 225, dooring: “No person shall open the door of a motor vehicle on the side adjacent to moving traffic unless and until it is reasonably safe to do so.” Currently there is no law to stop anyone from opening a car door into the path of a cyclist, or find them negligent for injuring a cyclist while doing so. Senate vote likely Monday, 1/27. HB 82, following bicycles too closely: striking “motor” from the text makes it illegal for motorists to follow non-motorized vehicles too closely — including people on bikes. House vote likely Friday, 1/24. HB 320, reckless driving, passing other vehicles at crosswalks and intersections: “Whenever any vehicle is stopped at a marked or unmarked crosswalk at an intersection to permit a pedestrian to cross the roadway, a driver of another vehicle whose vehicle is approaching the stopped vehicle from the rear and who overtakes or passes the stopped vehicle is guilty of reckless driving.” Awaiting vote by the full House Transportation Committee, Thursday 1/23. HB 277, stop for pedestrians in marked crosswalks: current law says only “yield” which is not strong enough. A complete stop better demonstrates having yielded, and is easier to enforce. Failed to report (killed) in committee. HB 542, wearing of masks in public: changes current law to make it only about using a mask to facilitate committing a crime. Currently, it’s a class 6 felony for a cyclist to wear a mask for cold weather protection. Awaiting vote by the Courts of Justice Committee. HB 1250, Sunday hunting: would allow landowners to hunt on Sundays on their own land. Of course the bullets don’t know where the boundaries are. Currently, with hunting prohibited on Sundays, cyclists and other outdoor enthusiasts can enjoy one bullet-free day a week in the woods. We’re against this bill. Awaiting vote by the Agriculture, Chesapeake and Natural Resources Committee. Two bills that will improve bike safety made it out of Virginia House Subcommittee 2 this morning. The two bills are HB 82, sponsored by McLean Del. Barbara Comstock, which changes the "following too closely" law so that it would apply to bicyclists, by removing a single word, "motorist." Virginia is the only state where it's not illegal to tailgate a bicyclist. FABB worked with Del. Comstock to ensure that only the second occurrence of "motorist" was struck from the existing language so that it would not apply to bicyclists following other bicyclists. Del. Comstock agreed to modify her bill to make this change. The second bill is HB 320 sponsored by Del. Kory, which makes it illegal for a vehicle to pass another vehicle that is stopped at a crosswalk. On many multi-lane roads cyclists and pedestrians have been struck when one car stops, the cyclist proceeds, and the second car does not stop. The bills will next be heard in the full House Transportation Committee, possibly as early as tomorrow. Herndon Del. Rust is chair of this committee and it would be helpful, especially if you are a constituent, to send Del. Rust a note asking him to support these bills. Thanks to VBF, Jeff Anderson of FABB, and others for speaking out at the committee meeting in support of these bills. It was an early morning for Jeff who left Vienna at 4:50 a.m. so he could get to the 7:00 a.m. meeting. Walk or Bike to Metrorail in Herndon. The Herndon Metrorail Stations Access Management Study (HMSAMS) is a collaborative effort, led by the Fairfax County Department of Transportation (FCDOT), to develop a plan for pedestrian and bicycle facility improvements designed to improve access to and around the future Herndon and Innovation Center Metrorail Stations, located in Herndon, VA.
Update: 15 Jan - See Dr Gridlock's article about the new Silver Line Phase II hotline. If your senator is on this committee, please send them a quick note to ask them to support these bills. Champe Burnley reminds us: “…a quick call or a sentence or two with the bill numbers is all you need to do. Remind them that this is about safety on our roads, transportation choices, and saving lives.” If you’d like to go into further detail, we’ve posted talking points. Use the Who’s My Legislator page to find who your senator is. If they’re on the Transportation Committee, listed below, please send them a note. Click on their name for contact info. You can email them or call. Update: 15 Jan 2014 - The Three foot passing bill was voted out of the Senate Transportation Committee this morning. It was a near unanimous vote; a final count will be available soon. The next step is for the bill to be voted on in the full Senate. See VBF's update on the bill. A vote on the Dooring bill was delayed for a week. VDOT has been studying possible changes to I-66 outside the Beltway. A public meeting is planned on January 30 to discuss proposed changes. We think the Custis Trail that parallels I-66 inside the Beltway should be extended outside the Beltway, as is called for in the Countywide Trails Plan (Major Regional Trail). The meeting will be held from 6:30 p.m. to 8:30 p.m., Oakton High School, 2900 Sutton Road Vienna, VA 22181. VDOT and the Department of Rail and Public Transportation (DRPT) identified 10 concepts to increase capacity within the corridor, as well as options to increase travel mode choices, improve individual interchanges, address spot safety needs and enhance travel efficiency. Learn about the next steps to identify potential improvements in the Corridor. E-mail comments to meeting_comments@vdot.virginia.gov, with “I-66 Corridor Improvements” in the subject line or send your comments to Ms. Susan Shaw, PE., 4975 Alliance Drive, Fairfax, VA 22030 by Feb. 17, 2014. The Virginia legislative session began this week in Richmond. A number of bike-related bills have been introduced. FABB is working with Delegate Comstock, who introduced this year's version of the Following Too Closely bill. She has agreed to modify the bill in committee to ensure that it only applies to motor vehicles, not bicyclists drafting other bicyclists. HB277 would require motorists to actually stop for pedestrians or bicyclists in a crosswalk instead of simply yielding. HB320 would prohibit a motorist from passing another motorist who is stopped for a pedestrian or bicyclist in a marked or unmarked crosswalk. These could be an important changes for cyclists who use the W&OD Trail, or any other trail where it crosses multiple lanes of traffic. Often one motorist will stop for a cyclist but others will continue to zoom past. 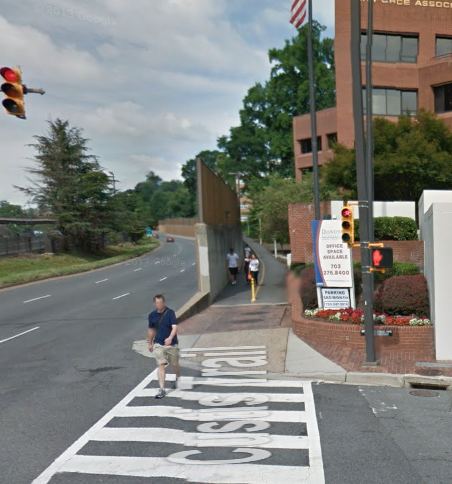 That could have been the case on Sunrise Valley Dr in Reston where cyclist Cat Freck was struck last year. HB 82 — Following Too Closely: This bill would require drivers of any vehicle to not follow more closely than is reasonable any other vehicle, including bicyclists. SB 225 – Dooring Legislation: If this law is enacted, drivers and passengers in Virginia will be legally required to exercise care when opening their car doors with respect to adjacent traffic. Dooring of bicyclists by drivers and passengers can cause serious injury and this bill seeks to reduce the potential of dooring. SB 97 – Three Foot Passing : Current Virgina law requires drivers to exercise care when passing vehicles, including bicyclists, and to give at least two feet when passing. This bill seeks to extend the passing distance to three feet, in line with D.C. and Maryland law. HB277 – Pedestrians crossing highways: This bill would clarify the duties of vehicles to stop to allow pedestrians (and bicyclists) to cross highways at marked crosswalks. The full bill language helps to define many ambiguities that exist in current law. HB320: Reckless driving; passing other vehicles at intersections: This bill seeks to amend the legal reckless driving statute by prohibiting a person from overtaking or passing another vehicle stopped at a marked or unmarked crosswalk at an intersection when a pedestrian (or bicyclist) is present. Traffic signals that are specific to bicycles have been approved by the Federal Highway Administration and are now part of the Manual on Uniform Traffic Control Devices (MUTCD), the sign/signal bible for traffic engineers. If you've ridden the Custis Trail in Rosslyn you may have seen bike signals at the intersection of Lee Hwy and Oak St. If you click on the image on the right from Google Maps street view you can just make out the symbol of a bike in the small traffic signal above the ped hand signal. The ped and bike signals have different timing. The bike signal stays illuminated longer because it takes less time for a cyclist to cross the intersection than it takes a pedestrian, one of the many ways in which pedestrians and bicyclists are different. The decision should lead to more widespread use of bike signals, which can be used to reduce conflicts between people on bikes and turning drivers, give cyclists a head start at intersections, or create a separate phase entirely for bicycle traffic. They are often used in tandem with protected bike lanes. Prior to the Christmas Eve vote by the committee that updates the MUTCD, bike signals were considered “experimental.” Communities seeking to install them first had to fund expensive engineering studies. But no longer. In a memo regarding the approval, Federal Highway Administration officials noted that bike signals have been shown to improve safety outcomes as well as compliance with traffic rules by cyclists. Crash rates involving cyclists have been reduced as much as 45 percent following the installation of bike signals, FHWA reports.